The TM-LE is a handcrafted microphone that has been described by Professional Recording Engineers as sounding like the combination of a U47 and a U67. 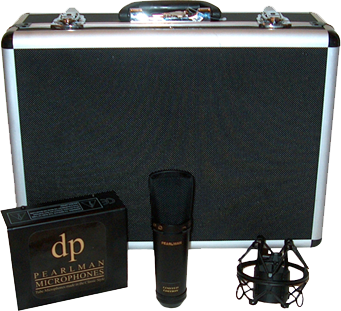 The microphone features point-to-point wiring, a hand selected military spec 6AK5 (5654 or European equivalent EF95), Mogami cable with Neutrik connectors, power supply compatible with all world voltages and best of all; a rare, Neumann K-67 capsule! These capsules cannot be ordered in quantity and can only be obtained as they appear on the market. For this reason the microphone truly is a Limited Edition, as only a very small number can be built. Features on the Pearlman TM-LE microphone are a polar pattern switch to change from Omni Directional to Cardioid for that big, warm vocal sound. Another feature is a switch that connects the low-pass filter, for a more ‘ribbon’ type sound that can be useful on overheads, room or recording a horn. We feel this is a perfect match to the esoteric vibe of Pete’s Place by providing another unique audio tool for those moments when nothing else will do. Don’t miss this opportunity to add this special Limited Edition Microphone to your studio’s ‘palette’ of sounds!